Handies Peak rises to 14,048'. 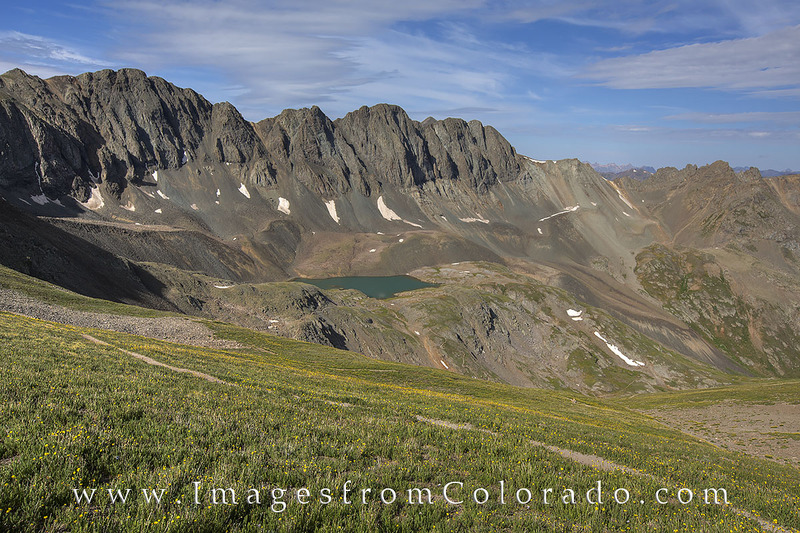 The trail rises from American Basin, one of the best places for summer wildflowers near Lake City, and is only around 6 miles round trip. And the views on the way up are, as is usually the case in the San Juans, breathtaking (figuratively and literally!). Here, the trail leads by a lake formed in a large cirque. This image was taken in early July on a crisp blue morning. Photo © copyright by Rob Greebon.